ABA Section of Real Property, Trust and Estate Law - American Bar Association Section of Real Property, Probate and Trust Law. 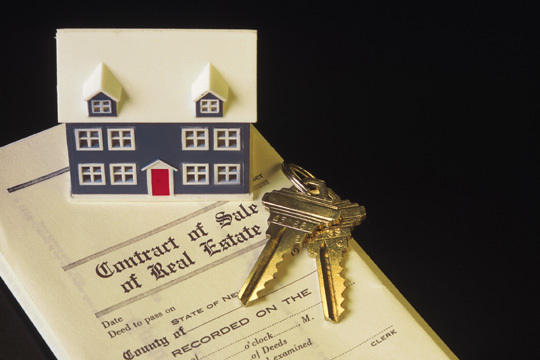 California Department of Real Estate - Protects the public in real estate transactions. Provides related services to the real estate industry. Coldwell Banker Home Listing Report (HLR) - Local real estate market data for more than 2,300 cities across North America. Estate Planning Links - Hundreds of links to links to estate planning, elder law, tax and related websites. Fair Housing Laws and Presidential Executive Orders - Provided by the U.S. Department of Housing and Urban Development. Fannie Mae - Federally chartered private corporation providing financial products and services making it possible for low, moderate- and middle-income families to buy homes. Freddie Mac - A stockholder-owned corporation chartered by Congress to create a continuous flow of funds to mortgage lenders. Real Estate & Rental Property Center - From Nolo. Real Estate Transactions - Real estate resources from Cornell Law School. Reprofile - Commercial real estate news, real estate, real estate law, property listings, legislation, court decisions. U.S. Department of Housing and Urban Development (HUD) - HUD news and resources: Buying, selling, renting, homeless, home improvements, HUD homes, fair housing, FHA refunds, foreclosure, consumer information. U.S. Department of Housing and Urban Development (HUD): California Home Page - HUD news, homes, communities, resources, tools. U.S. Federal Housing Administration (FHA) and U.S. Housing and Urban Development (HUD) - FHA and HUD were established to improve housing standards and conditions; to provide an adequate home financing system through insurance of mortgages; and to stabilize the mortgage market. U.S. Federal Housing Finance Agency (FHFA) - FHFA's mission is to provide effective supervision, regulation and housing mission oversight of Fannie Mae, Freddie Mac and the Federal Home Loan Banks to promote their safety and soundness, support housing finance and affordable housing, and support a stable and liquid mortgage market. U.S. Internal Revenue Service - Tax statistics, forms, information. U.S. Landlord/Tenant Law - Overview and resources provided by Cornell Law School. U.S. Tax Code - This document allows you to access the complete text of the U.S. Internal Revenue Code, Title 26 of the U.S. Code (26 USC) in a variety of ways. Welcome to the Dirt - Supplemental web page for DIRT - the Internet legal discussion group on for real estate professionals. Edited by Patrick A. Randolph, UMKC School of Law. This webpage last updated on Saturday, October 29, 2016 7:41 AM.